These days the rugby season never seems to end, clubs were already back in pre season training before our home nations touring teams touch down on native soil, after their Southern Hemisphere escapades. If you thought this season, or should that be last season, was long then the next one is positively endless. This time next year the focus will be on the Rugby World Cup warm up matches in preparation for Japan 2019 which commences in September. France and Scotland have already arranged their fixtures,with Wales having agreed to play England twice, at Twickenham and Cardiff, and also Ireland. Each home nation will play thirteen to fifteen internationals, give or take, before the first ball is kicked in Tokyo, add in domestic leagues and European tournaments and once again it looks like it will be the survival of the fittest. Player welfare the subject that is always discussed and regarded as a priority by governing bodies, has become the king of the platitudes, there are plenty of words spoken, but very little ensuing action. Ireland’s centrally contracted players will be in the best position come the Rugby World Cup, whilst Wales and Scotland also have more opportunity to manage their players workload, unlike England. The competitiveness of the new Gallagher Premiership allows little opportunity for resting players, and when you have a Premiership Rugby Board that makes Shylock seems like a charity worker a charity worker, the pounds of flesh are the ones that will inevitably suffer. 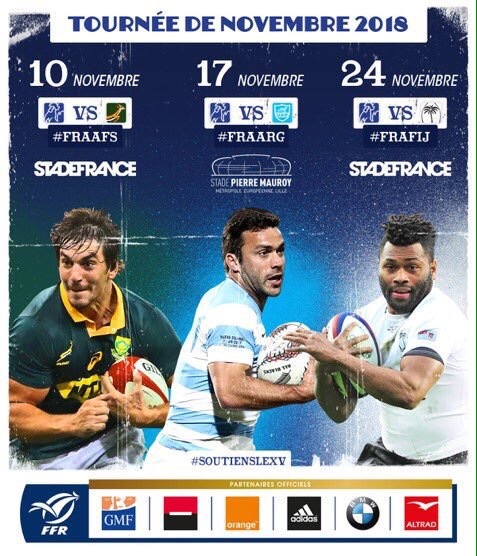 Across the channel in France, its “plus ca change”, the Top 14 rules and will span its usual marathon season from August to June, but at least France will only play three November internationals, unlike the teams in these islands.